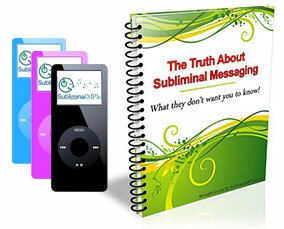 Overcome your approach anxiety and develop the ability to approach any woman without hesitation with help from this mind re-wiring subliminal messaging album. Do you struggle to approach women and introduce yourself? Do you get a "feeling" in your body which holds you back when you want to approach a woman? Do you see the possible rejection or worry what other people will think and hold yourself back? Perhaps you can approach some women but not the super hot women you really want? Do you wish you had a carefree attitude and the confidence to approach any woman? Approach anxiety is all in the mind - it is a manifestation of how you are thinking and feeling, of your beliefs essentially. It may of evolved and grown through previous rejection, but all the same you can break it - you can overcome your approach anxiety! Some people are naturally comfortable around women and have the confidence to walk up to any woman they like. This is because their self beliefs and patterns of thinking are mostly positive. Whereas you worry, think negatively, imagine the rejection, the humiliation, the awkwardness etc. they get excited, think about the potential fun to be had, they enjoy the challenge and imagine the woman opening up and enjoying talking to them. Transform the way you view approaching women; rather than worrying and thinking negatively you too will think of the positives that could happen, the fun you could have, and instead of imagining the worst you will naturally create a bright vivid picture in your mind of the woman opening up to you, smiling, laughing and being interested in you. Instill in you the confidence to approach any woman you want. Once you change the way you think about this and really believe that a woman will react positively to you, then approaching women will become easy and natural. As you keep using the album over a period of 2-4 weeks the results will build to a point that rather than worrying what might go wrong if you approach you will feel compelled to approach because of what you might miss out on if you don't. Approaching women will ultimately become something you just do, and a natural part of who you are. Download this album today and eliminate the nerves and irrational thoughts which are holding you back and stopping you from approaching and dating beautiful women!